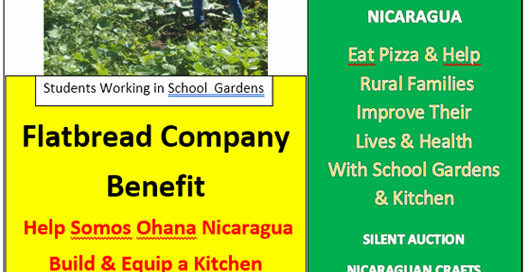 Enjoy delicious wood-fired pizza, a sale of Nicaraguan crafts, and a silent auction with many valuable prizes at The Flatbread Company in Paia on Tuesday, January 23, 2018, and help SOMOS OHANA NICARAGUA raise the money for the 3rd wing of the secondary school Instituto August Cesar Sandino in La Carreta that they recently built in Nicaragua. 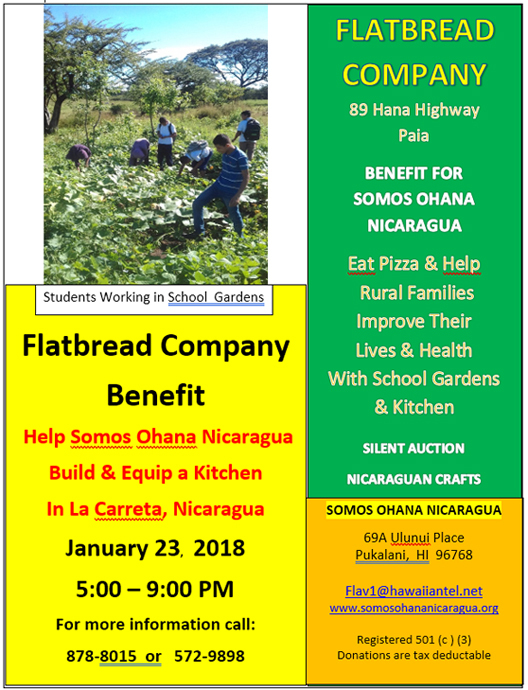 Partial proceeds of every pizza sold from 5 to 9 pm will be donated by The Flatbread Company to help Somos Ohana Nicaragua. 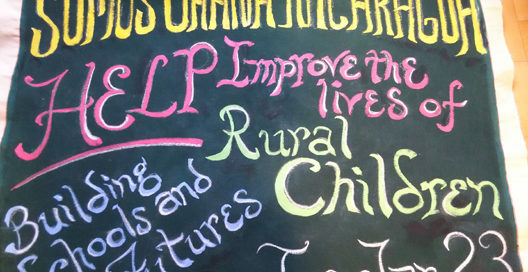 Many thanks to The Flatbread Company and to our supporters in the Maui community! On November 30th Somos Ohana received news from Luvy Uriarte, head teacher of the Instituto Augusto C. Sandino in La Carreta, informing us that it was the last day of instruction for the students of secondary education there. Though the teachers and administrators still had a lots of work to do before their official vacation around Christmas and the New Year, the students are on a long vacation similar to the US’s summer vacation (or the old Hawaii “coffee schedule”) until the first day of instruction of the new school year during the first week of February, 2018. This vacation coincides with the important harvesting of coffee at this time of the year and the driest season, which is call “verano” or summer, in Nicaragua. 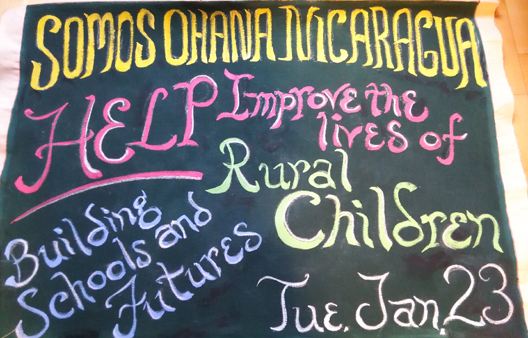 In January, the teachers are expected to visit every family to take a census and to encourage the participation of school age children to take advantage of their right to free public education in Nicaragua.